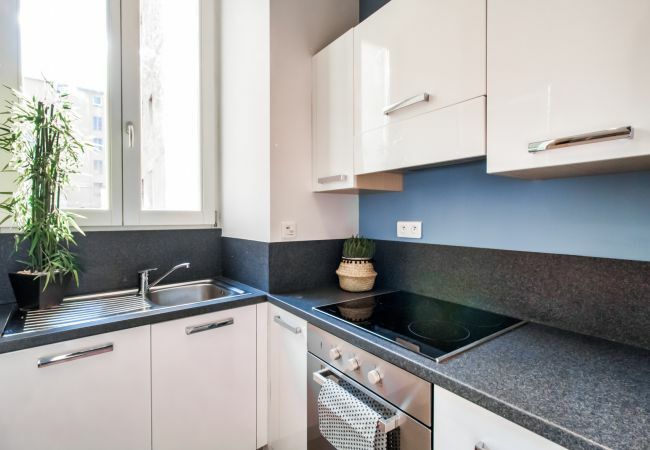 ADRIANA is a very beautiful renovated with one bedroom apartment. 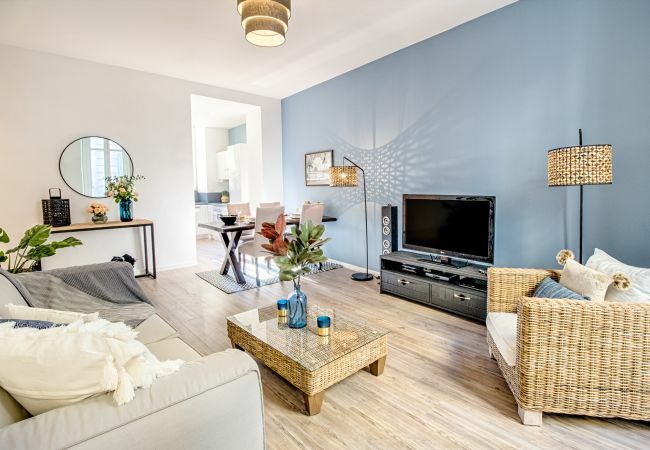 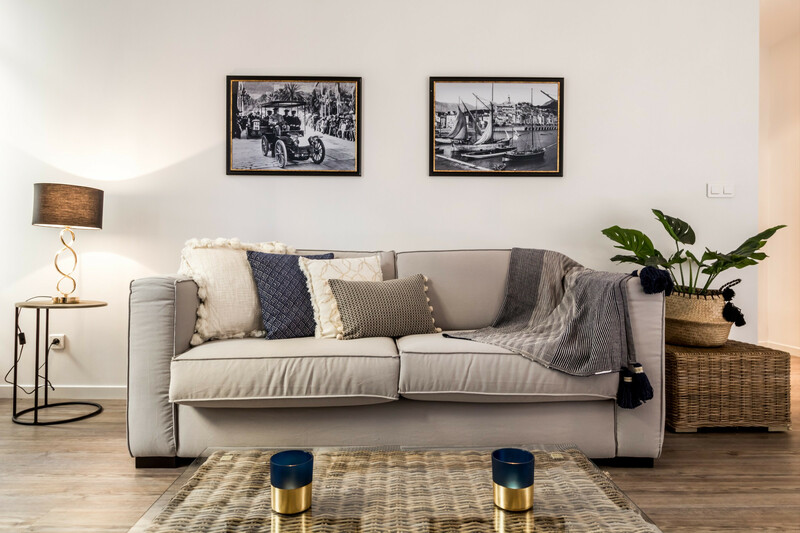 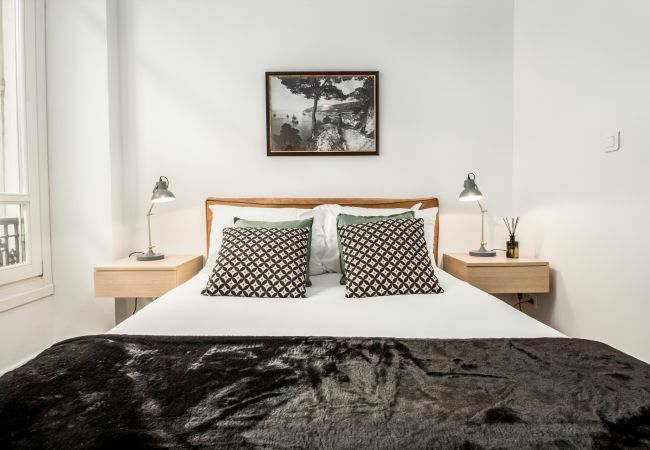 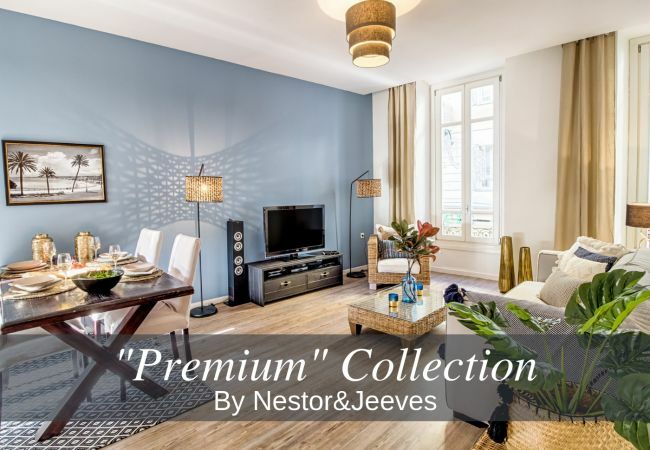 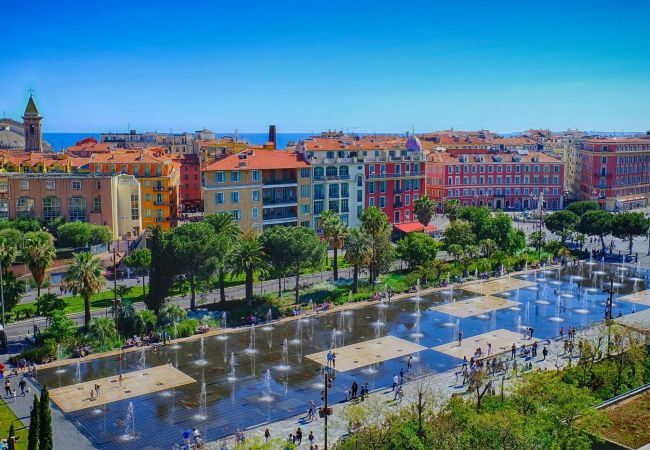 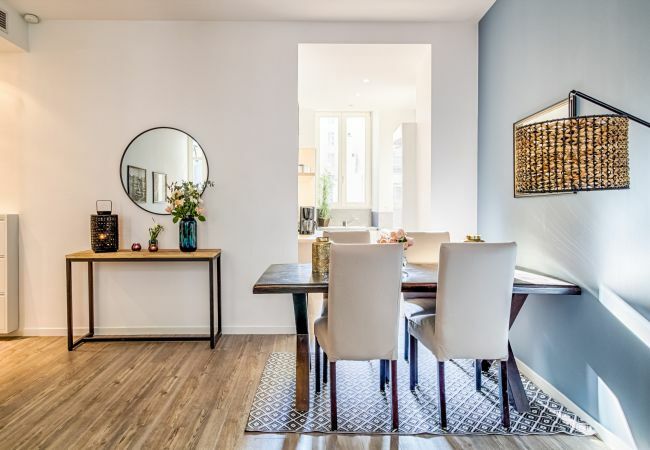 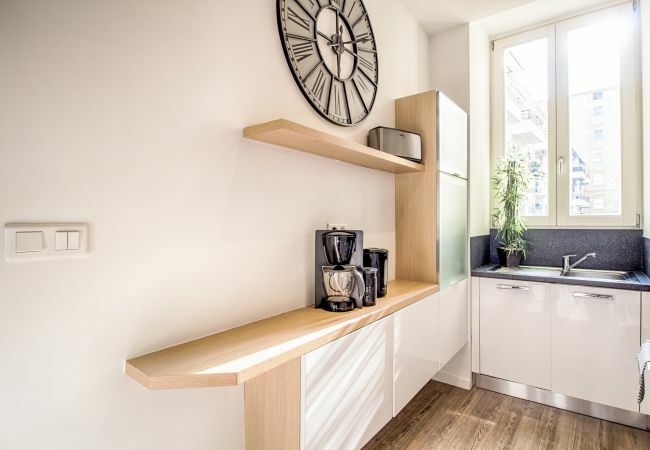 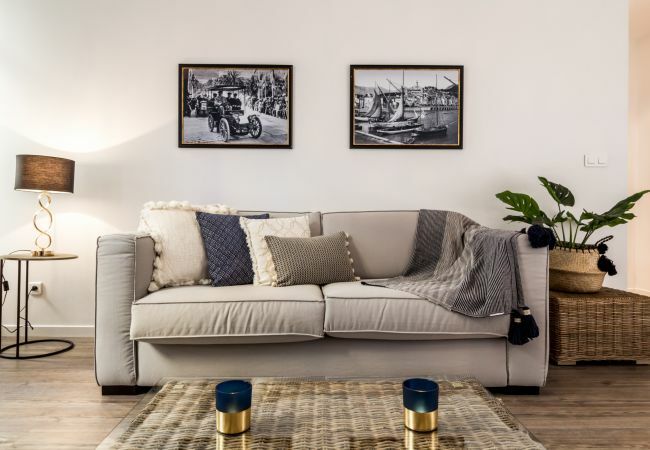 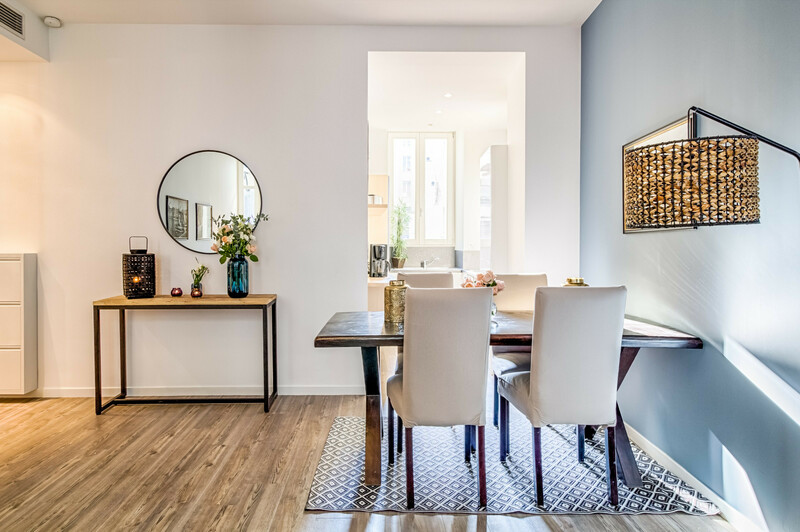 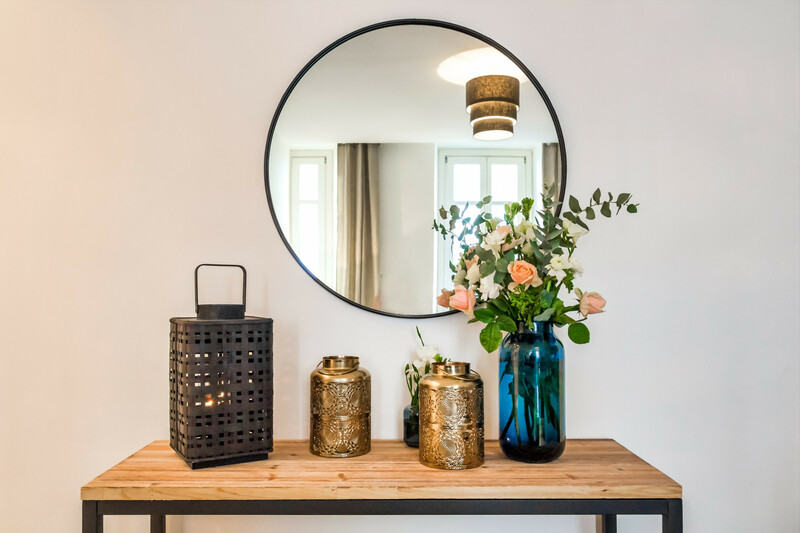 It has an ideal location in the Carré D'Or of Nice in the city center, 1 minute walk from the Promenade des Anglais and the famous pedestrian zone. The apartment has a modern decoration. 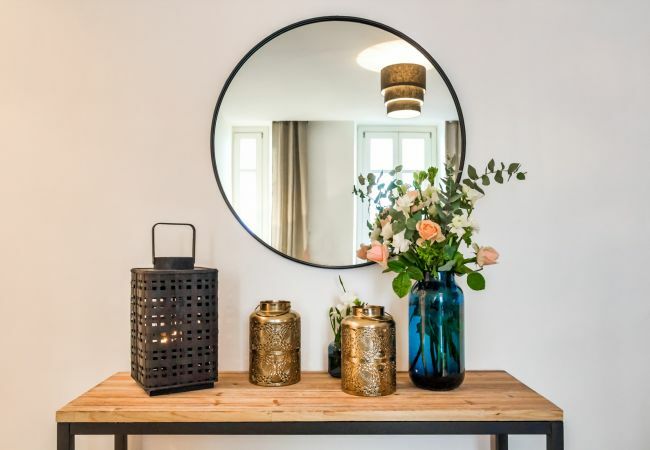 Furniture made of natural materials such as wood and rattan mingle with industrial black metal. 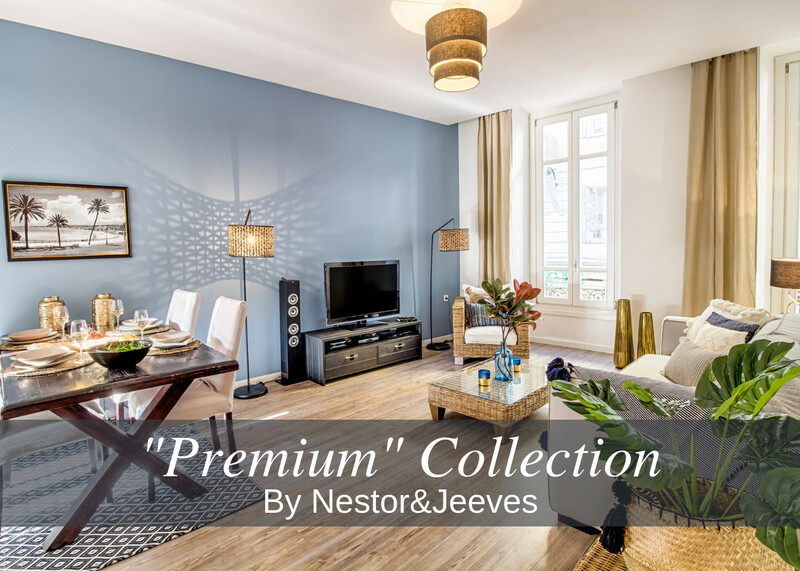 The golden elements in the decorative objects bring a note of brightness and prestige. 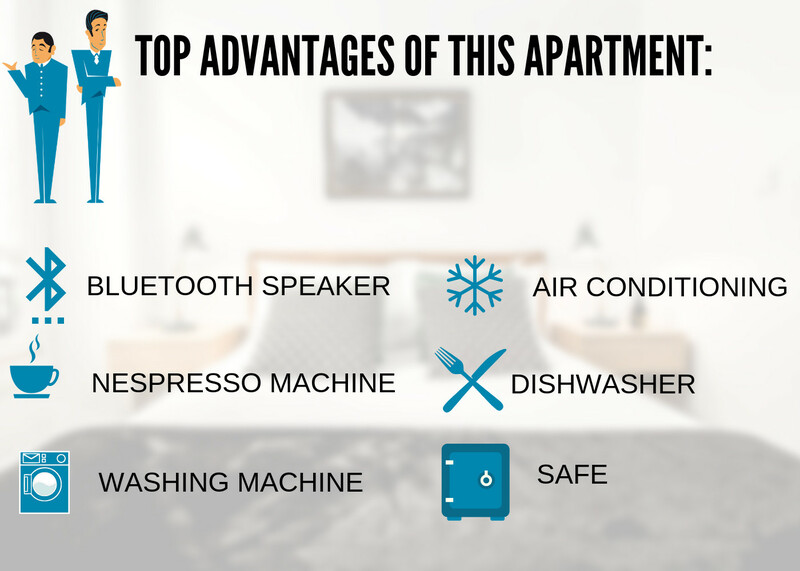 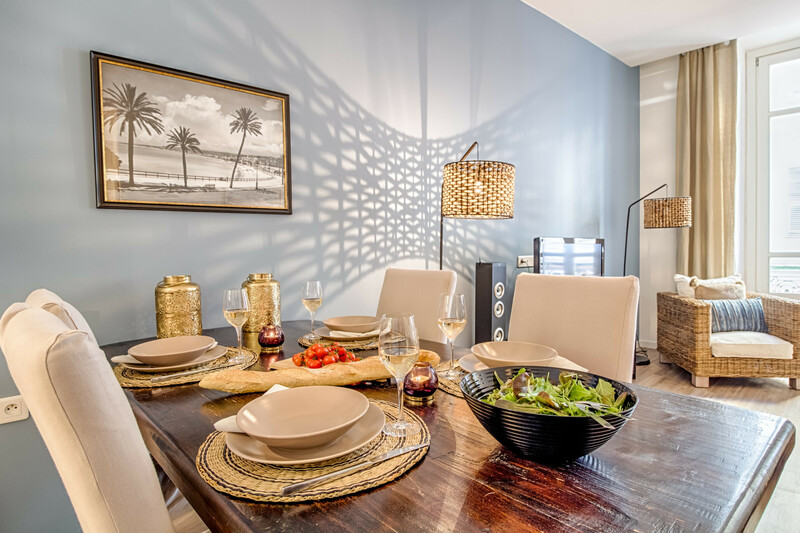 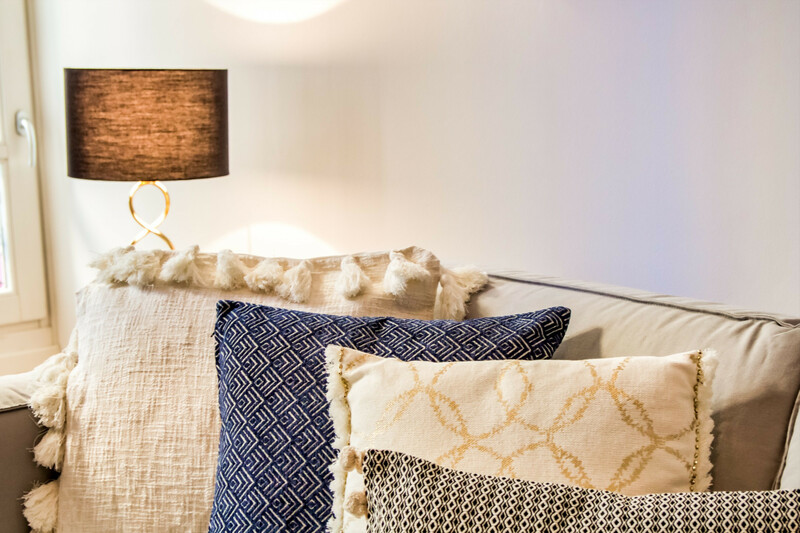 You will be seduced by the elegant ambience of the apartment. Modern facilities and quality furniture will delight you for a comfortable stay. 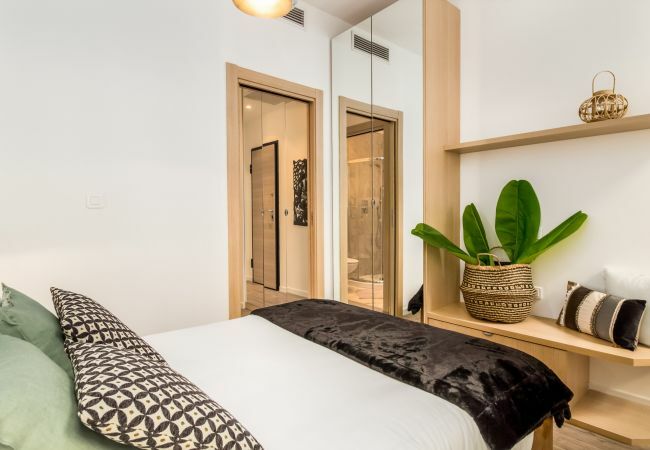 The windows are double-glazed. 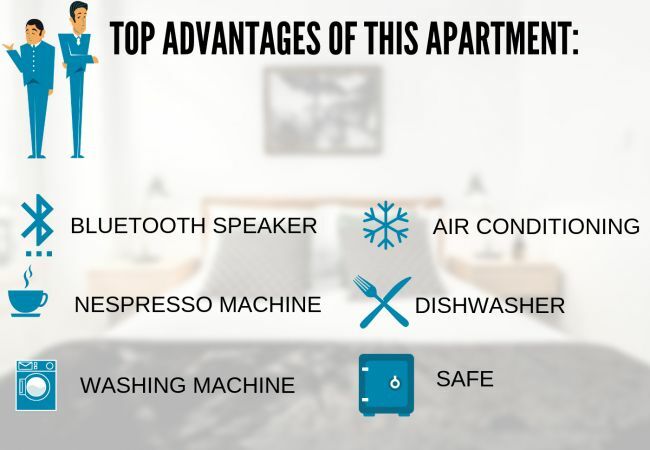 The apartment has access by elevator. 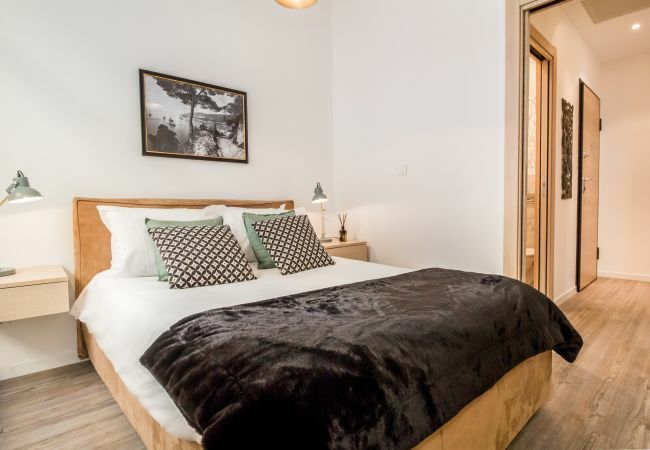 It has a free Wi-Fi connection and is fuly air-conditionned. 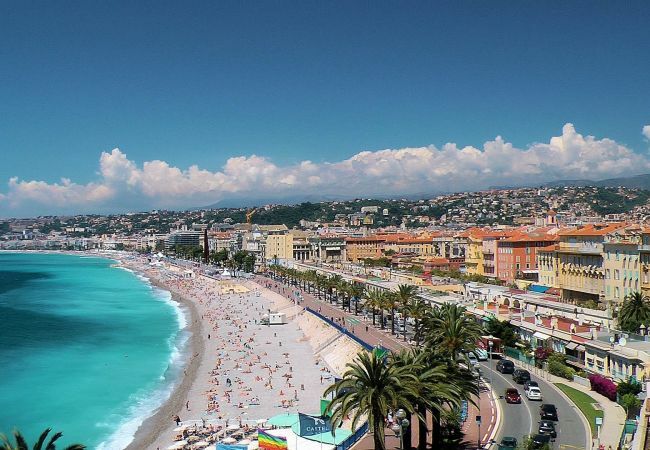 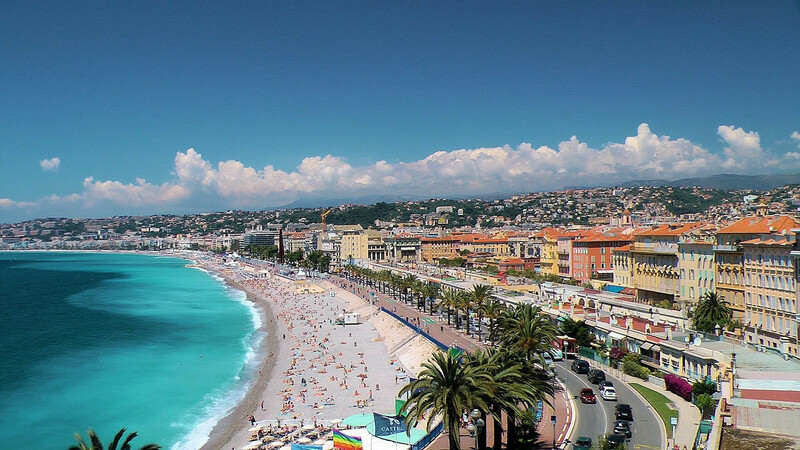 Located rue de France, you will be in the Carré D'Or of Nice. 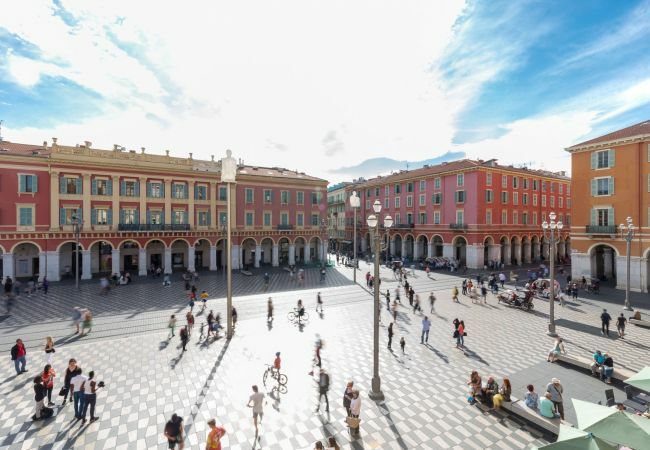 You will find nearby all the necessary shops with mini markets, bakeries, butchers, pharmacies ... 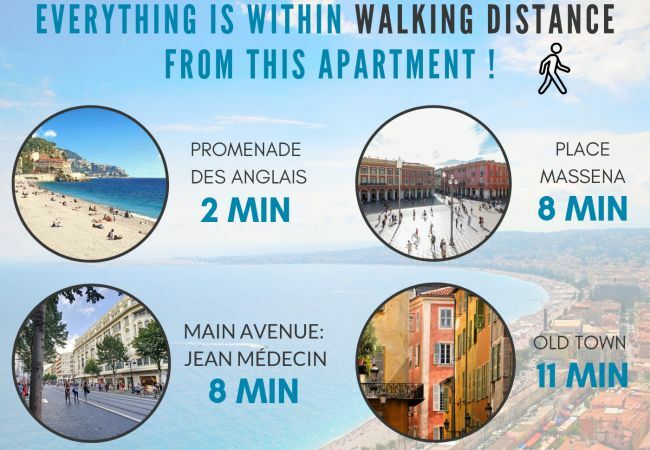 In addition, you will be just 1 minute walk from the pedestrian zone and the sea and a few minutes from Jean Médecin and its shops. 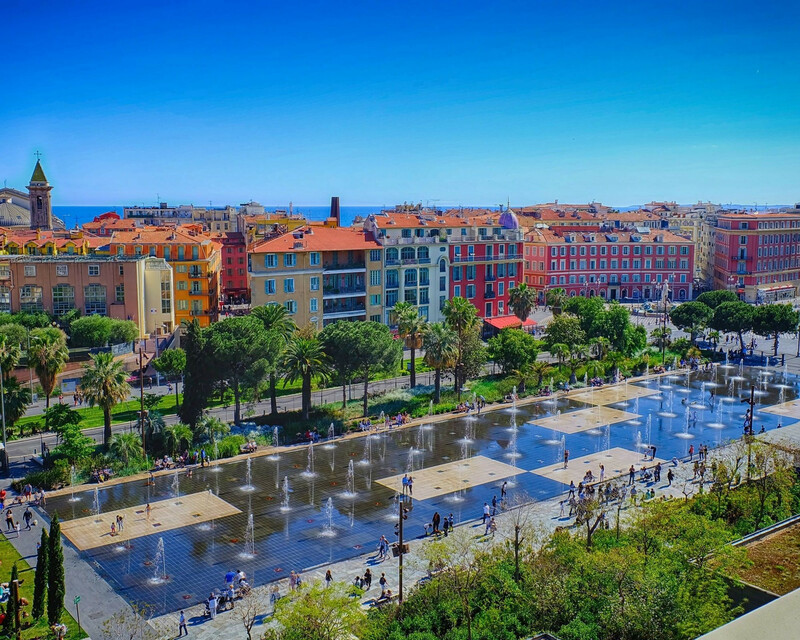 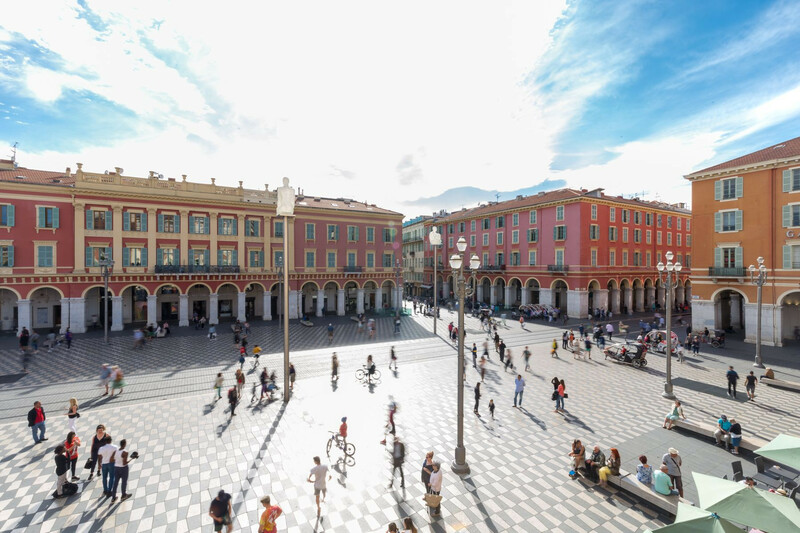 Your central location will allow you to easily reach Old Nice and its Niçois specialties, its bars and its flower market. 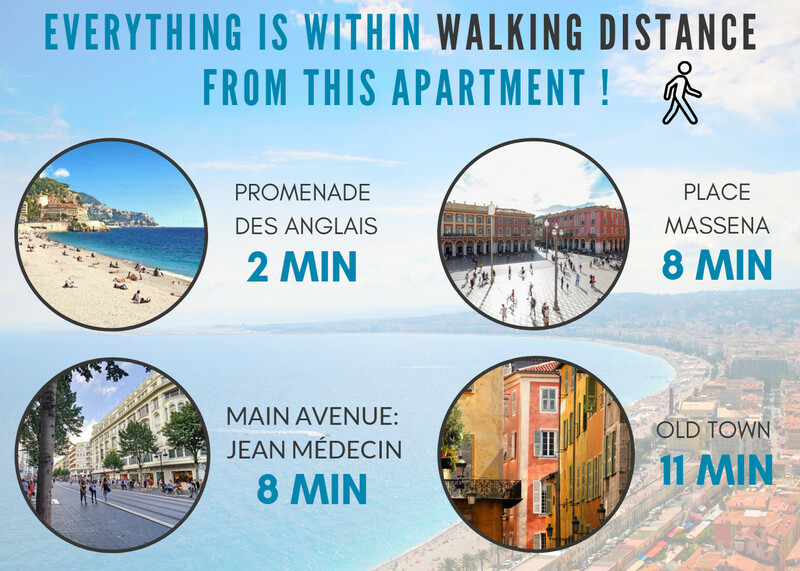 A few meters from the apartment, you will find bus stations and bike stations , allowing you to move easily throughout Nice. 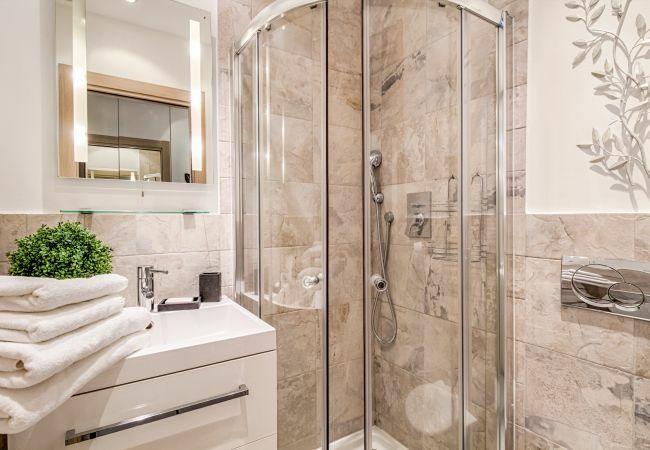 It has a closet with a mirror and a washing machine inside. 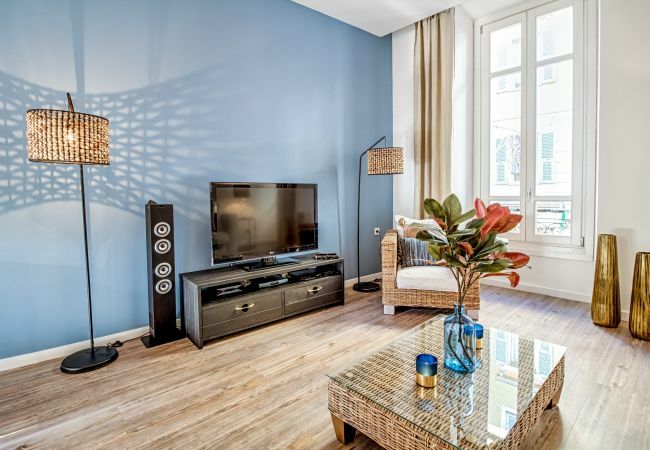 It has a soft sofa , an armchair, a flat screen TV, a large Bluetooth speaker and a DVD player. 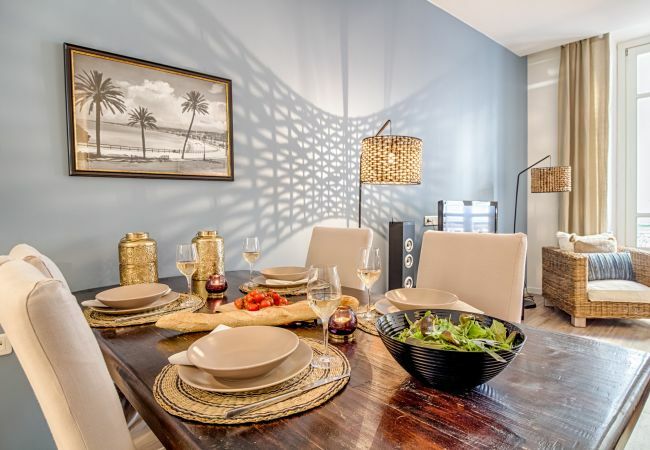 The dining area has a beautiful dining table and 4 chairs. The kitchen is equipped with an oven, dishwasher, fridge, freezer, kettle, Nespresso coffee machine, ceramic hob and toaster. 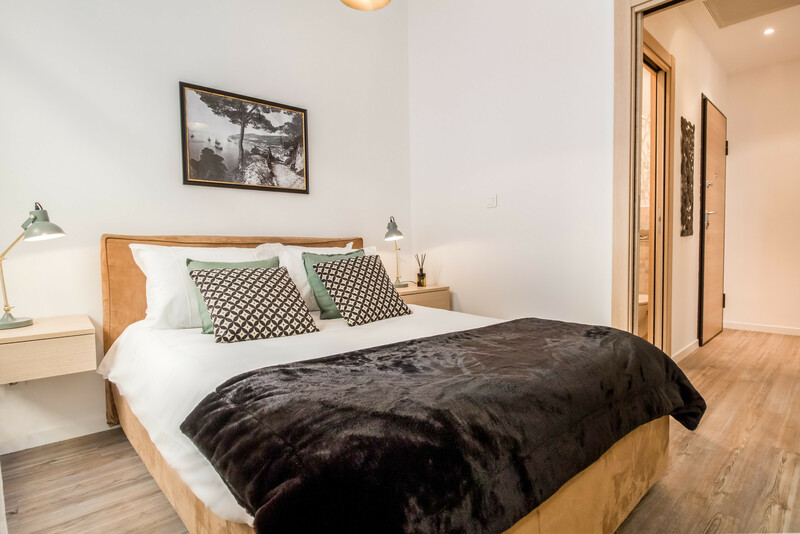 The bedroom has a double bed with a very thick high quality mattress, two bedside shelves, a wardrobe with mirror and a safe. 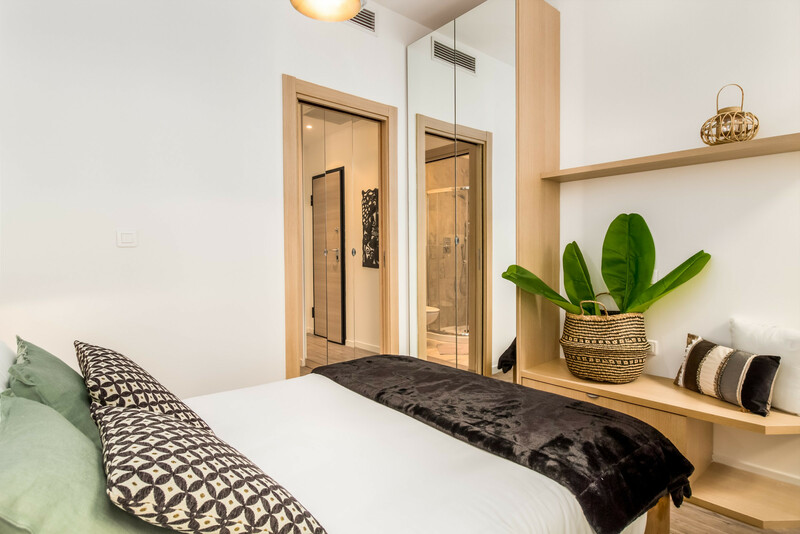 The bedroom is air-conditioned and benefits from double-glazed windows. 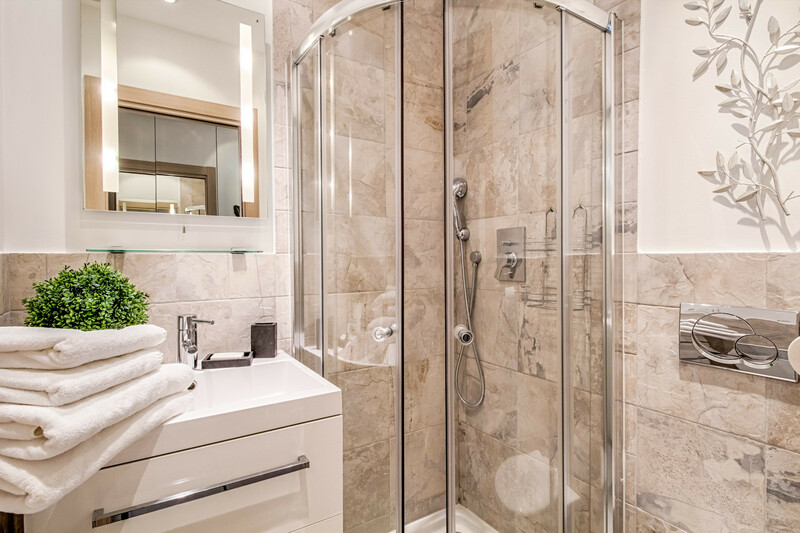 The bathroom is equipped with a beautiful shower, a washbasin, a lighted mirror, a heated towel rail, a hairdryer and a hanging toilet.